I thought maybe post-treatment cancer patients would like to know they have a little insight about how life in a resort beach town on Labor Day feels: it is that “my treatment just ended” feeling. I can certainly say to non-cancer patients who live in my town, “you know that Labor Day feeling?” when I want to describe how it feels when cancer treatment ends. Driving around the beach highway at 4PM on Labor Day is a strange experience. Everyone is gone. The hub-bub that made traffic unbearable a few weeks ago is non-existent. I love fall and Halloween, but am always a little bummed to see summer go, and this sudden exodus just makes it so real. Labor Day just always makes me a little sad. Oddly enough, the hub-bub returns a couple of weeks later—not full swing and full-on noisy mind you. 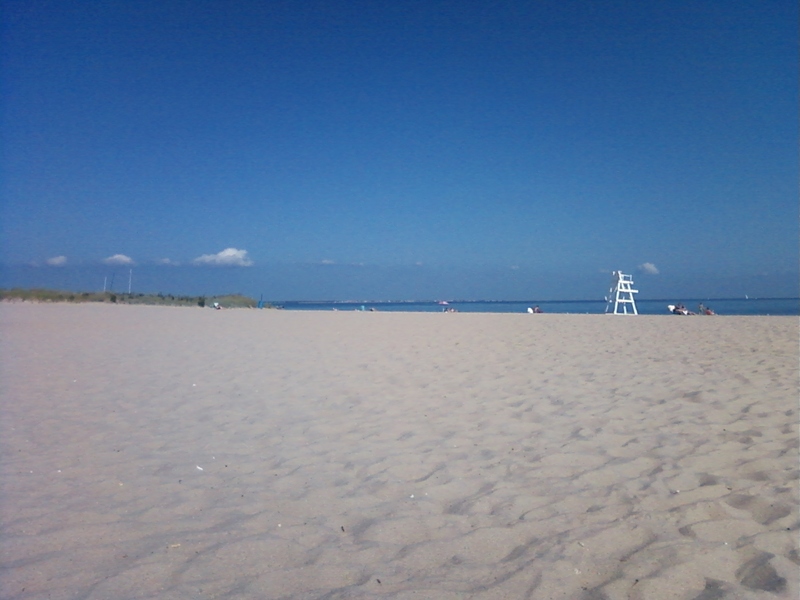 But there are those folks that come to the beach in September because there are no kids, less people, less activity. But folks always seem to think it will be quieter the more weeks out from summer it gets. Not so. If one wants a super quiet vacation while the beach is still warm, start it on Labor Day. Sure the service at stores and eateries might be slow, due to a small staff of a few shell-shocked souls who are serving customers and wondering what the hell just happened (the answer is: August, the worst month to work at the beach, just happened). Cancer patients, does this sound familiar? The treatment experience is very much like the beach in the summer. Super intense, something going on just non-stop, until…it just stops. Finishing the last treatment is like a good-bye: “you did great, good luck, see ya in six months!” It is just a full on system shock, when your every single day was wrapped up in going to a medical facility, and then suddenly it is over. I re-experienced that on this Labor Day…everyone was gone, and I was still on that beach highway. But it’s good to not have to deal with treatments every day, and it is good to have less traffic. I know the tourists and cars will return in full force next summer. I just don’t want cancer and the whirlwind of dealing with treatment to ever come back. HA! I know exactly how you feel – I live in a beach community and it feels GREAT!!!!! having everyone go home – no crowds, parking anywhere, just lovely….free again!!! And our metered parking stops in a couple of weeks too! When I was little, we had the extra perk of some stop lights at less than popular intersections going to “blinking yellow”, so less stops, just a slow down. It is a little more year round now, I miss the blinking yellow traffic lights. What an insightful analogy.Your mind is a wonder!